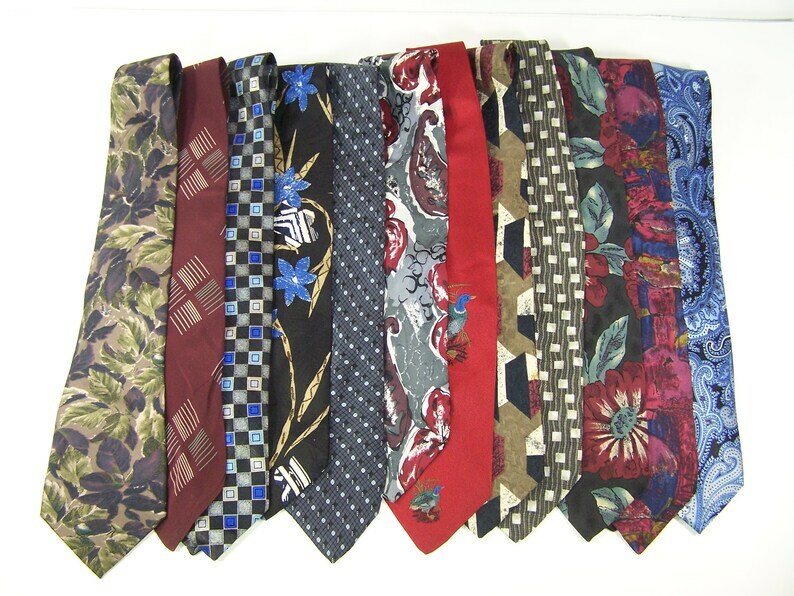 Twelve silk neck ties in good used condition. Classic style. Lengths ranging from 56" to 67". Widest portion 3-1/2" to 4". American Bald Eagle String Art Framed 19.5" x 30"